Not a bee, but an amazing simulacrum! There’s a ton of native asters that are hard to distinguish, as I discovered after spending easily a confused hour pondering my wildflower book. I finally decided that it’s Heart-Leaved Aster overflowing in my back yard with huge plumes of pale lavender-to-white flowers feeding lots of happy bees. Except one of them is a syrphid fly that is not a bee, but an incredible simulation. 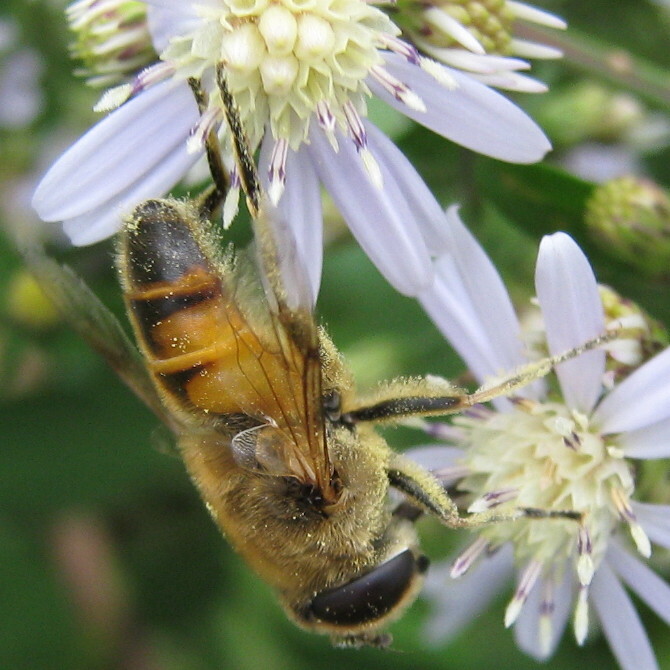 It’s amazing how much it looks exactly like a honeybee until you get close enough to see its head. 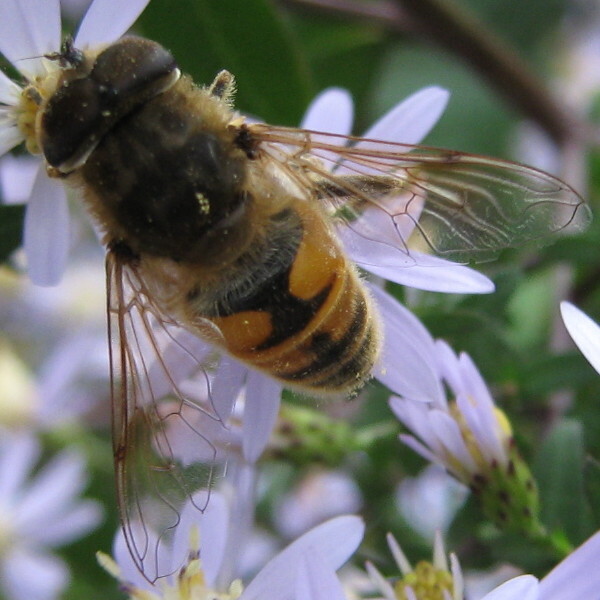 Apparently it’s a bee mimic, Eristalis tenax. 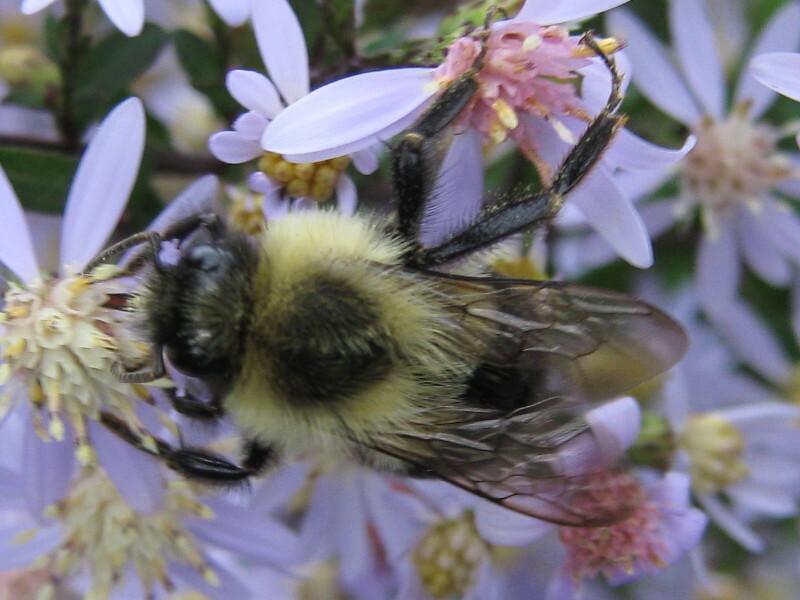 Of course, most of the bees on the asters are the usual suspects. 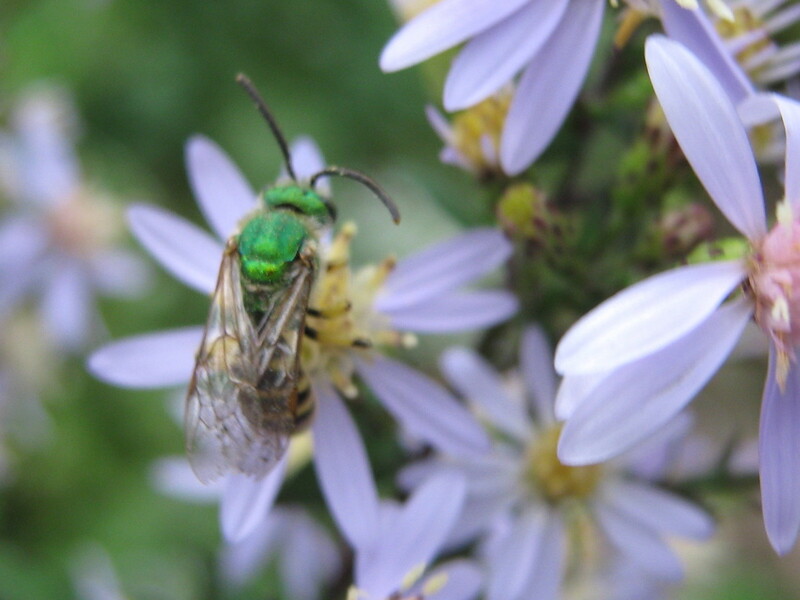 More often than not, I’ve found this trinity of bees: honeybees, bumblebees, and shiny green sweat bees, Agapostemon virescens. 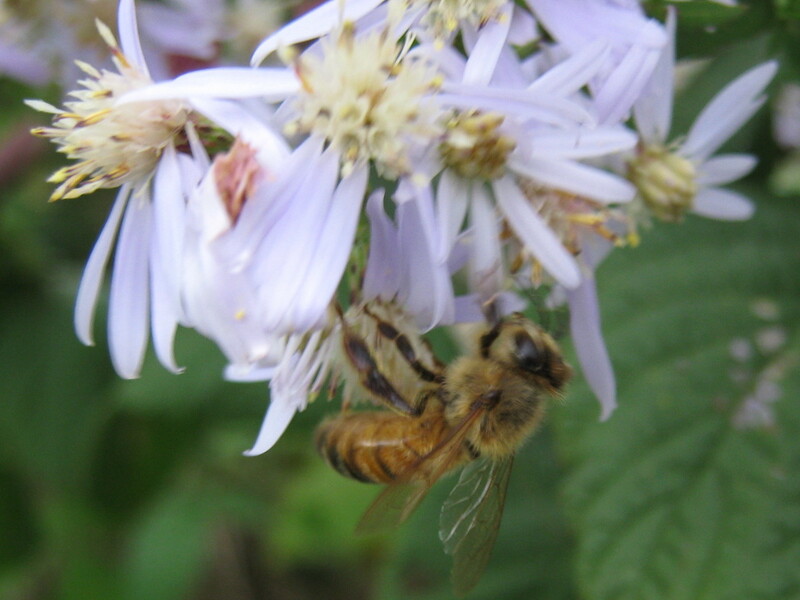 Sure, there are other, seasonal bees, but these gals really hang in there. I wonder how much longer?